Embark on a challenging and under-the-radar trek to Machu Picchu’s sister site Choquequirao. Hiking enthusiasts take heed. The trek to Choquequirao is everything you could imagine for an off-the-beaten-path trek in Peru – yet undiscovered archaeological ruins, otherworldly mountain vistas, and empty trails from start to finish. It’s an unforgettable off-track Peru adventure soon to hit the mainstream. Our experienced guides know the trail and the history like the back of their hands. 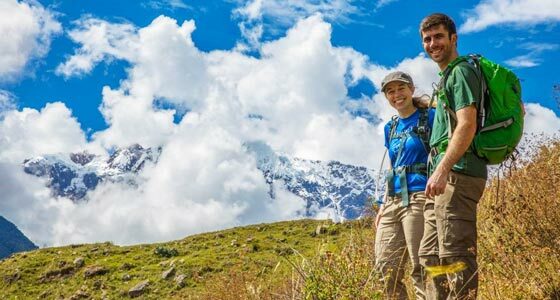 You’d better include this trek in Peru on your custom Peru holiday before it becomes the next Machu Picchu. Marvel at the wonders of Machu Picchu alongside an expert researcher and conservationist. 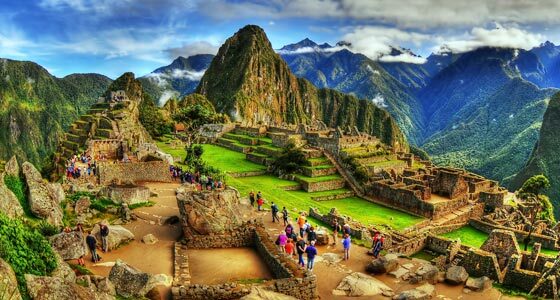 The wonder of Machu Picchu doesn’t stop at its impressive and ingenious architecture. Situated in a dramatic setting where the Peruvian Andes meet the Amazon Basin, Machu Picchu is also a biodiversity hotspot sheltering an incredible array of microclimates and species. With an expert researcher and conservationist as your guide, take in both Machu Picchu’s architectural mastery and its biodiverse setting for a well-rounded visit to this historic sanctuary on a custom Machu Picchu tour. 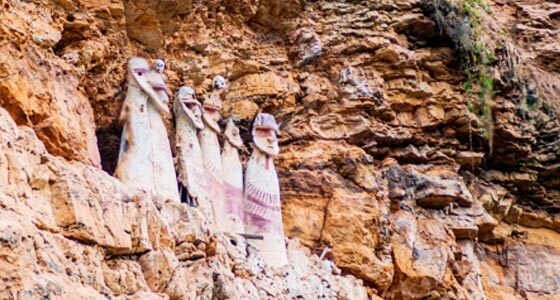 With Kuoda, explore the lesser-known Chachapoyas culture and the fascinating remains they left behind. Known as the “Warriors of the Clouds”, the Chachapoyas culture pre-dates the Incas, much of their culture still shrouded in mystery. However they did leave behind the impressive fortress of Kuelap, now reachable via a cable car system, and the Sarcophagi of Karijia, eight Chachapoyan mummies resting on a cliffside. Allow Kuoda to guide you to this remote and off-the-beaten-path Peru travel destination in the north, nestled inside the Andean cloud forests of the Amazonas region. It’s the perfect complement to a Peruvian culture vacation. 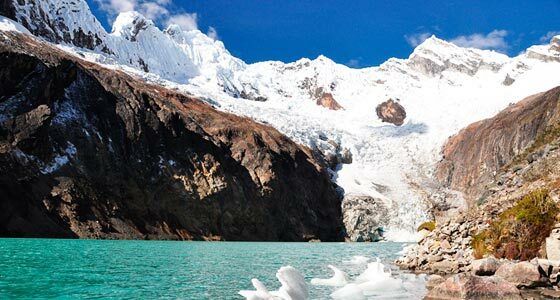 Take a day hike to Laguna 69, a magical turquoise lake in Peru’s Cordillera Blanca. Located in Huascarán National Park, a visit to Laguna 69 is a bucket list-worthy item by anyone’s standards and should be on everyone’s Peru vacation itinerary. Hugged by soaring snow-capped mountains and trickling waterfalls, the turquoise waters of Laguna 69 are worth the day trip from Huaraz. For the more daring of travelers, you can even take a dip in its icy waters, although keep in mind this is a lake at an altitude of 4,600 meters (15,092 feet) surrounded by glaciers. Allow Kuoda to lead you on a trek or tour to this magnificent gem in the White Mountains of Peru. Visit the floodplain rainforests of Manu National Park and conduct field studies alongside a resident researcher. 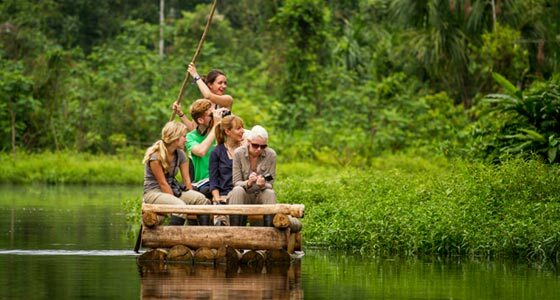 Understand the ecology and ecosystems of the western Amazon Rainforest during a field study in Manu National Park, where researchers and naturalists are studying the delicate ecological balance of this biodiverse region of the world. Identify species, assess biodiversity, and gain a deeper understanding for rainforest conservation and environmental impacts. For a richer visit to the Amazon, there’s truly no better way than through a hands-on field studies program in Peru.